The weekly EIA working gas in storage report showed a 136 Bcf decline to 3.232 Tcf. The weekly net withdrawal was slightly greater than last year's (-130 Bcf) and the five year average (-118 Bcf). 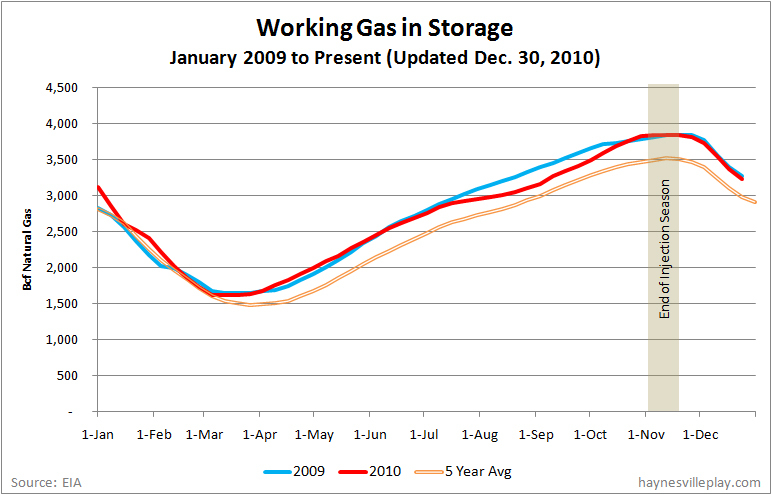 The current storage level is 62 Bcf below (-1.9%) last year's level but 246 Bcf higher (+8.2%) than the five year average.